The Cary Senior Center is offering two different classes for those interested in taking Tai Chi, one being a beginners level course and the other for more advanced students. Both classes will meet 8 times on Wednesday from March 27th until May 15th. For Cary residents the cost for the classes will be $37 and $48 for non-residents. Norma Ferrell will instruct both classes. Beginner level: 11am – 11:50am. Learn movements 1-12 of Sun Style Form. Classroom 302 at the Cary Senior Center will be the location of a new computer class called: Never too Old to Learn. There are literally 100’s of free classes on the internet that you could be utilizing. This class is to teach you where to find them and how to use them as an educational resource. The class will be from 1:30 pm to 4pm Thursday, March 14th. This is a great opportunity to get some hands on work with a computer. Cary Senior Center would like to invite you to the Herbert C. Young Community Center for a special event on Thursday, January 31st from 10 am until noon. Do you have a box somewhere that has all those holiday cards from your family, drawings your Grandkids made or recipes that have been passed down from your mother? I know that you probably had the intention to make a cute scrapbook or cookbook, but the time just seems to escape you on doing these things. I have a whole basement of proof! Come out on Thursday to work on putting those books together. You will be making unique boxes and books that will be used to house these memories. Learn ways to organize what you have with Rasmi Bacon, the event’s instructor. If you have any classes, please call the center! Are you looking to turn your life around in terms of health? Cary Senior Center is offering a six week class series called Living Healthy. Learn how to deal with fatigue, frustration, isolation, pain, etc. You will also be taught how to properly manage your medications, eat healthy, effective communication skills and so much more. This class is looking for seniors who will be willing to participate for this free series. Meetings are every Thursday from 9 am until 11:30 am staring January 31st. See you there! Cary Senior Center is having a series of cooking workshops in the ballroom and kitchen with Carrie DiPietro as the instructor. Learn some healthy cooking alternatives focused around heart healthy recipes. Each class is hands-on and requires registration to partake. The first class will be on Tuesday, January 22nd from 10 am until 12:30 pm. 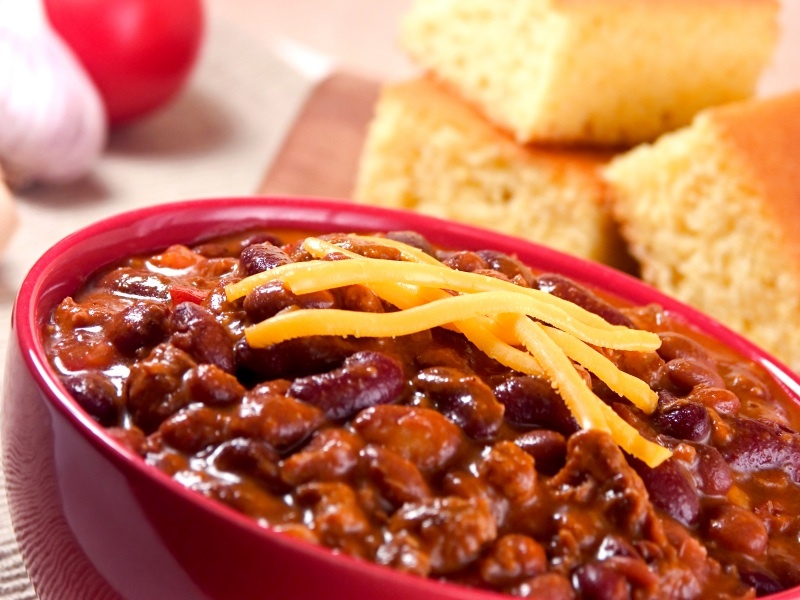 “Tis the Season for Chili” will help teach you to adjust the “hot and spicy” factor in some recipes if you are not a fan. You will make a vegetarian and grain chili, white bean and chicken chili and one with pork and sweet potato as well. Just in time for the next family gathering, sign up today before all the spots have been taken. Classroom 302 is hosting a series of classes on Apple Computer products at the Cary Senior Center! On January 16th there will be a class at 1:30 pm on how to easily move from a PC to an iPad. You may be worried that one class will not be all that you need, but the instructors are offering the class again on March 6th if you in need of a refresher! This class is free and open to Seniors 50 and up. Learn how to move your critical files, email accounts and how to use the web in this class. Also, we will be showing you Apps you can use to do the same tasks you were doing on your PC. We hope to see you this Wednesday! This class formerly went by the name: Computing for Beginners, but is now Beginning Skills I (for Windows 7). In this class you will learn how to use WordPad and Paint applications on computer that uses the Windows 7 Operating system. Anyone will little to no experience with computers would greatly benefit from this class. However, if you sign up, a flash drive is required. You can bring one of your own or purchase one for $10 at the Front Desk. Classes are from 9:30am until noon or 1:30pm until 4pm (these are two separate classes you can sign up for). Each class meets Tuesdays and Thursday starting January 15th until the 31st. Please sign up today to make sure you get a spot!